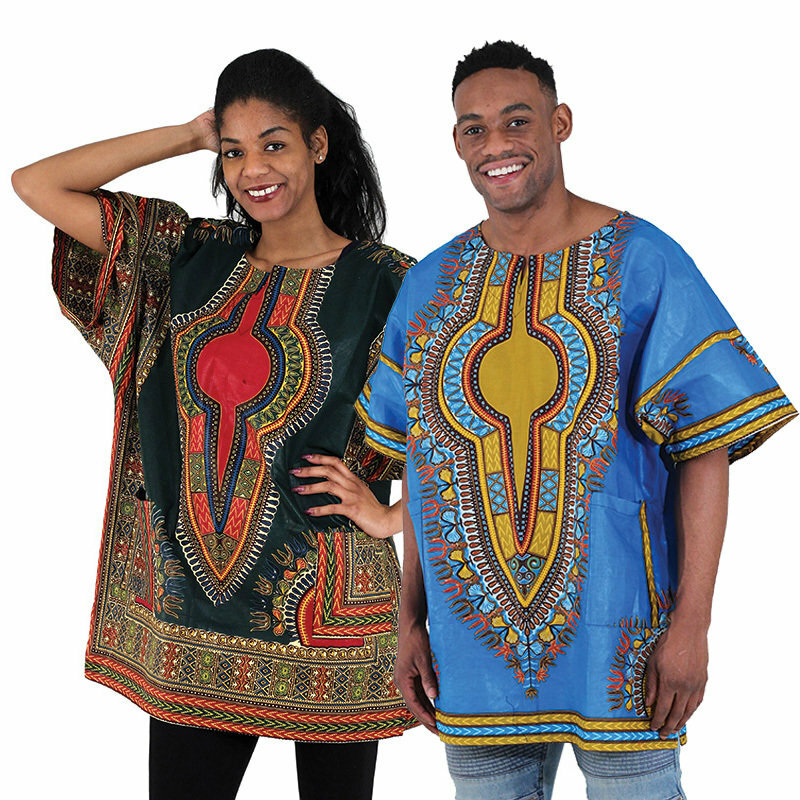 Each dashiki has a stand-out design, hue, and a soft, roomy feel. The border color on the dashiki may vary from the picture. Fits up to 56" bust. 34" length. Comes with two pockets. 100% cotton. Hand wash in cold water.